Click any coupon for a printable version. 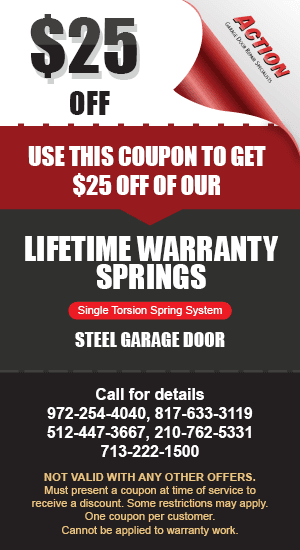 Action Garage Door serves Dallas, Fort Worth, Houston, Austin, and surrounding Texas cities. We offer new garage doors, garage door repair, springs and replacement parts, commercial garage doors, premier insulated steel doors, carriage house doors, residential steel doors, and residential wood doors.